UPDATE:Â There’s an audio error due to editing, where Matthew is out of sync for the first 45 minutes of the show.Â I won’t be able to fix this until later tonight, when I’m done with my video work. 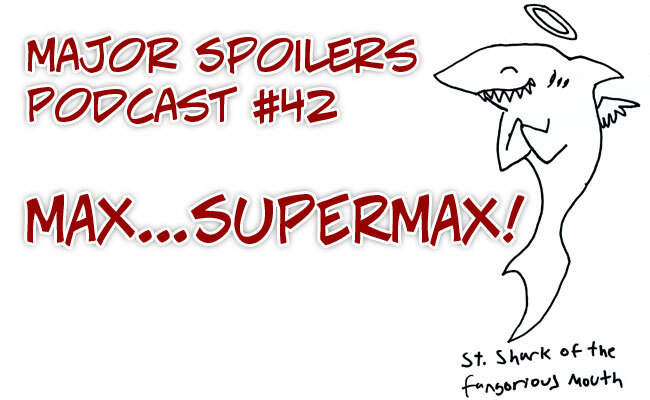 This time around, we lament the loss of a new imprint, some old friends, and Stephenâ€™s patience. Meanwhile, Rodrigoâ€™s in the timestream, Stephenâ€™s in Free Fall, and Matthewâ€™s in Tower City, while Skrull Bryan decides that if he canâ€™t take over the world, heâ€™ll at least be the lord of Bogeyâ€™s drive-inâ€¦ Plus: we know your mama dresses you funny, so why not win sompin for wearing a funny suit? Itâ€™s all this and Cellblock Four as Major Spoilers provides the answer to the ultimate question of life, the universe and everything! 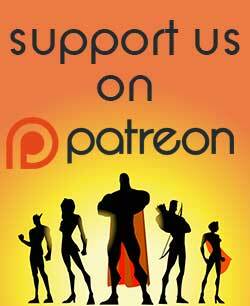 Stephen goes on a rant about how comic companies should advertise in other media to attract new readers. Send three to four pictures (different poses/angles) of yourself in your favorite superhero costume (plus one sans costume) to us by October 21, 2008. Make sure you include your name, address, and the character you are supposed to be. 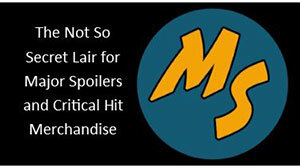 The Major Spoilers crew, will narrow the list to five contestants (oh lord, let us have more than five entries), and readers will then vote on their favorite. The winner will then be announced October 31st. An international space race ensues when an asteroid containing enough precious metals to shift the balance of power on Earth is detected on a path through our solar system. When the U.S. Team arrives on the asteroid, they discover the remains of an abandoned alien mining camp. But when the U.S. ship is sabotaged and crew members go missing, it becomes clear they’re not alone on the asteroid. Stranded, the remaining crew members must band together to survive the monstrous inhabitants on the asteroid, find a way off the rock and save Earth which now sits directly in the path of destruction. In the process, they discover a deep dark secret contained within the asteroid. It holds the key to both their destruction and to their salvation. But unearthing it will change the fate of humanity forever. Has the current “economic crisis” affected your comic buying decisions? 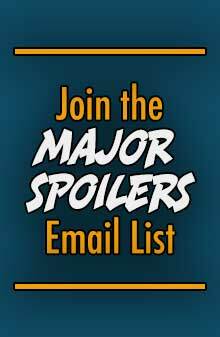 Head over to Major Spoilers and let your voice be heard! Less than 30 miles off the coast of Florida is an island. And if you’re one of the few that get to see it… it’s likely you will never leave. This is San Tiburon. Home to beautiful white sandy shores, crystal-blue waters… and the world’s most dangerous maximum-security penitentiary. For 185 of the world’s most dangerous super-powered criminals, it is their final home. They will reside within these walls until their sentence is served… or they meet their end. There are no escapes. There are no bargains or compromises. There is only San Tiburon. An important thing, the swearing (which fits well into a comic podcast well, and should be kept up) will need an [explicit] tag in iTunes or they could remove your feed from their store. For advertising on TV, I love the way Marvel show many many clips at the user in fast succession at the start of all Marvel related movies. Put that little bit in the 4pm-9pm time bracket and they’ll sell more comics. Putting ads on TV costs moneys, but you’ll get more back with extra sales. Here in Australia, the market probably isn’t that big; I don’t see any ads of any kind unless it’s where comic fans already go. Matthew’s show intros are the best thing ever. I should listen to the whole show before commenting. The Aryan Brotherhood is real. The Aryan Brotherhood, also known as the AB or The Brand, is a white prison gang numbering about 15000 members in and out of prison. In March 2006, four leaders of the Aryan Brotherhood were indicted for numerous crimes, including murder, conspiracy, drug trafficking, racketeering, and dog fighting. According to the FBI, although the gang makes up less than 1% of the prison population, it is responsible for up to 26% of murders in the federal prison system.